Read more about AMD's Ryzen 3rd Generation CPU rumours. My body is ready. I've been debating if I should upgrade from my good old 2500k @4.7 GHz and Zen 2 might be worth it. Hey Mark they're also pushing TSMC hard to get the Navi GPU's ready as they still want to try and launch all their products at the same time of July 7th as the CPU's and boards were supposed to come out around April. I'm on a 2500k atm upgrading to Ryzen 1700 while the 3000 series chips will be very nice the first gen prices are just too good for me to turn down. 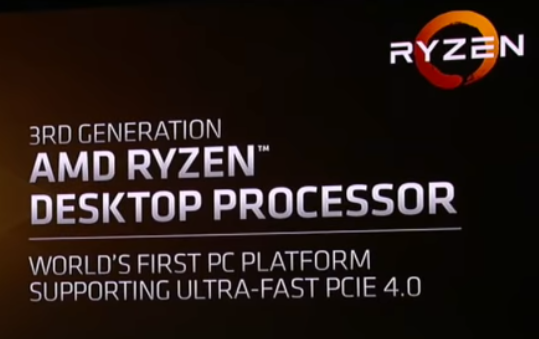 As for the 3000 series I'm hearing nothing but good things with Ryzen 9 chips basically more cores and shifted the stack but I heard due to power reasons the 9 chips will only work on X570. Still I can get my upgrade done in a few weeks just need ram atm. I wanted to support AMD this time around since they are innovating we have real competition in the market again and if they continue to do as they are atm I won't be going back to Intel any time soon. I get it they sat back and waited they did the smart thing biz wise but by doing that they left the door wide open for amd to catch up. Ok so my 1700 chip isn't the latest and greatest but I will be happy for a few years and once Ryzen and AM4 and bios's are all done with I will upgrade to the best chip I can at a good price for me it's win win. My next issue is future gpu's atm my sli 970's are fine no real need yet but at some point I am hoping amd will bring the goods and maybe the next set of cards may be really worth it we'll see. I am so excited for this to come out. Can't wait to get away from Intel and my superhot 7700k. Not so sure about the " CPU's and boards were supposed to come out around April", as all of AMD's indications so far have pointed to mid-2019, which should mean a late Q2 or early Q3 timeframe. That said, boards could easily be ready well in advance. With Zen 2, AMD wants to release their server products as soon as possible, as it gives AMD an advantage for the longest possible time in a growing market, at least until Intel starts launching 10nm server products. TBH Zen 2 will probably be one of the most exciting launches of this year. Did you have your 2500k overclocked? What performance gains did you notice with that upgrade (games, multi-tasking, day-to-day use...)?